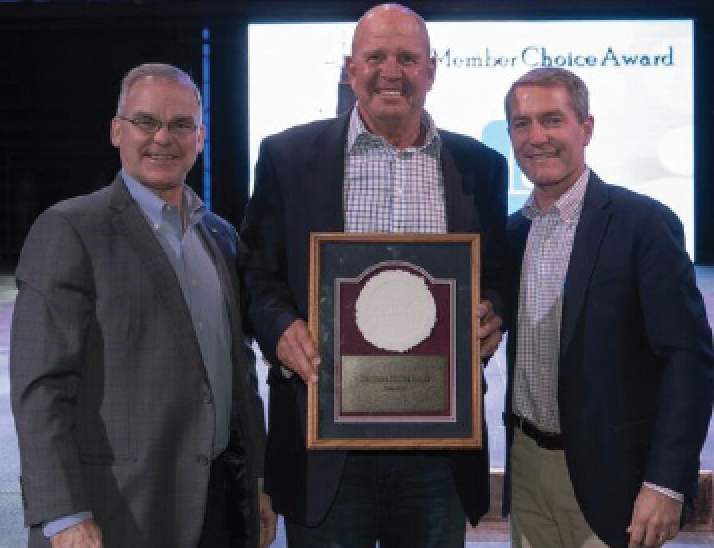 The award was presented to Spartan Chemical by Alan Tomblin, President and CEO, Network Services Company during the 2018 NETWORK Supplier Tradeshow in Las Vegas, Nevada. Spartan Chemical was represented by John Swigart, President and Greg Ford, Vice President of Sales. Spartan Chemical Company, Inc. has been a recognized leader in the formulation and manufacture of sustainable cleaning and sanitation solutions for the industrial and institutional market since 1956. A proud US employer, Spartan manufactures high quality products from its state-of-the-art manufacturing facility in Maumee, OH and sells both domestically and internationally through a selective network of distribution. Spartan's chemical products and services are used in building service contractor, education, health care, food service and processing, lodging/hospitality, and industrial markets. About Network Services Company NETWORK® is the distribution solution for supply chain professionals managing multi-site programs. We design programs to strike the ideal balance between the centralized control customer's demand and the local flexibility they need to drive business success. Across the United States and around the globe, we focus on corporate accounts in healthcare, grocery, foodservice, commercial real estate, industrial packaging, hospitality, and commercial print. You'll call this a better way to do business. We call it Distribution by Design®.